Overlooking Saint Jean Bay, Eden View Villa comes with unforgettable water views that can be enjoyed both indoors and out. This 2 bedroom home is very relaxing and is ideally laid out to afford guests the most privacy. The living area is large and comfortable and opens to the terrace, and the bedrooms with en-suite baths can be found on either side. A dining area and fully equipped kitchen complete the villa’s interior. Outside on the terrace, you’ll discover a huge pool overlooking the water, as well more seating options where you can dine, sunbathe, or just relax with a book. Grocery stores, restaurants, and the beach are less than 5 minutes away from this conveniently located villa. Breathtaking views of Eden Rock and St. Jean Bay! As soon as you enter villa Eden View, you will be hypnotized by the ocean view that can be seen from this brand new 2 bedroom, 2 bathroom villa, situated on the top of a Saint Jean hillside. The living area, very spacious and light, opens onto the covered terrace and the large infinity pool. The bedrooms are located on each side of the living room for more privacy, with direct access to the terrace and the great view. The kitchen, separated in the back, is fully equipped and very functional. 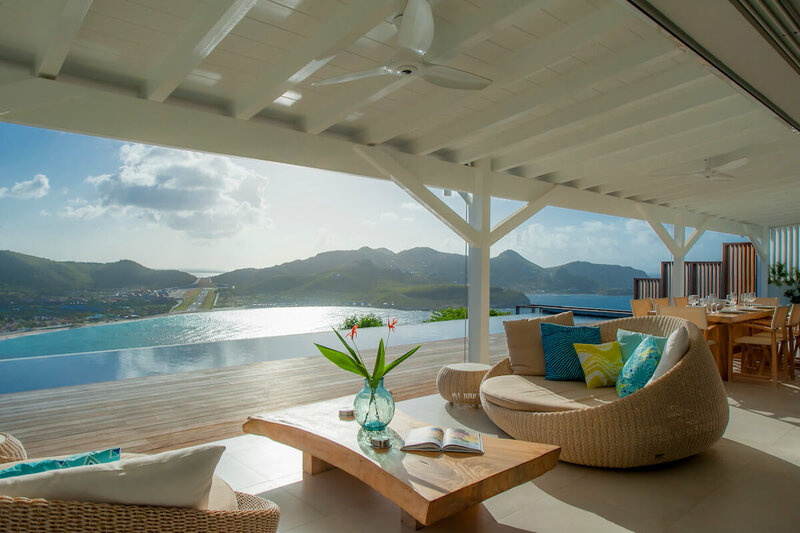 With a great location and lots of amenities, this villa will function as an ideal home away from home while you’re on St. Barts. Villa EDV is perfect for couples traveling together and also great spot for a luxurious honeymoon. 5 minute drive to St. Jean beach or a 20 minute walk/hike. Complimentary meet and greet at the airport - every guest will be met at the airport and be escorted to and introduced to the villa. The villa was so beautiful it was hard to leave. We will definitely be coming back! Shawna at WhereToStay saved my vacation! She gets 5 stars!